Rebuilding her life was never in Elizabeth Davidson's plans, but things rarely go according to plan. 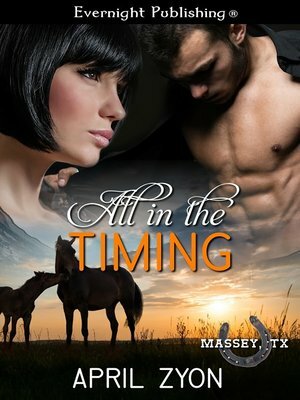 At least she had Massey, TX to call home when she needed a place to tuck herself away from one mistake after another. What she hadn't planned on was becoming embroiled in the middle of a multi-agency case. Or becoming one of the victims.Frank Carver, Jr. loves Massey, TX. It's the place of his birth, and will always be the place he considers home. Because of the nature of his job, and the people he's come across during the years, he's always been careful to never lead that danger back home. But when danger finds its way into the very heart of his town, he has no other choice but to return. Especially when Elizabeth, the only woman he could ever love ends up with a target on her back.